Washington DC Student Grants & Free College Scholarships in D.C.
Higher standards in the workforce, advanced technology, and global competitiveness have made earning at least an undergraduate degree more essential than ever before. However, uncertainties in today’s world have left many students and their parents wondering if a college education is still an achievable part of the American Dream. The good news is that there are hundreds of thousands of dollars in financial aid available in the District of Columbia each year to rising college students and their families. Many of these sources of funding remain untouched because those who need them the most either don’t know about them, or have very little information about how to obtain the funding. Aside from the better known sources of student financial aid, there are hundreds of other scholarships and grants out there that are earmarked especially for residents of Washington, DC, or for students who plan to attend a Washington, DC college or university. These relatively unknown and untapped resources can help take a huge bite out of the cost of funding a higher education. Some of these grant awards and scholarships are specific, available to students who are entering vocations where there is a huge demand, or those who meet certain financial, geographical, or ethnic criteria. There is also money for continued education available from various corporations, foundations, and endowment funds. In an effort to help potential college students and their families realize the dream of a obtaining a higher eduction, we have compiled a list of these resources: what they are, how to find them, and the requirements needed to receive the funding. There are many good colleges and universities located in and around the District of Columbia that reflect a diversity of students and interests. Here is an alphabetical list of DC institutions. Be aware that many schools offer scholarships and grants of their own to potential students. American University, a private non-profit institution, offering 4-year and post-graduate degrees. Bennett Career Institute, a private, non-profit 2-year institution. Catholic University of America, a private non-profit institution, offering 4-year and post-graduate degrees. Corcoran College of Art and Design, a private non-profit institution, offering 4-year and post-graduate degrees. Dominican House of Studies, a private non-profit institution, offering 4-year and post-graduate degrees. Gallaudet University, a private non-profit institution, offering 4-year and post-graduate degrees. George Washington University, a private non-profit institution, offering 4-year and post-graduate degrees. Georgetown University, a private non-profit institution, offering 4-year and post-graduate degrees. Harrison Center for Career Education, a private, non-profit 2-year institution. Howard University, a private non-profit institution, offering 4-year and post-graduate degrees. Johns Hopkins University, a private, non-profit institution, offering 4-year and post-graduate degrees. Loyola University, a private, non-profit institution, offering 4-year and post-graduate degrees. National Conservatory of Dramatic Arts, a private, non-profit 2-year institution. Potomac College, a private non-profit institution, offering 4-year and post-graduate degrees. Sanz School, a private, for-profit 2-year institution. Southeastern University, a private non-profit institution, offering 4-year and post-graduate degrees. Strayer University-Washington Campus, a private, for-profit institution, offering 4-year and post-graduate degrees. Technical Learning Centers, a private, non-profit 2-year institution. Trinity Washington University, a private non-profit institution, offering 4-year and post-graduate degrees. University of the District of Columbia, a public institution offering 4-year and post-graduate degrees. University of the District of Columbia David A Clarke School of Law, a public institution offering 4-year and post-graduate degrees. Washington Theological Union, a private non-profit institution, offering 4-year and post-graduate degrees. Wesley Theological Seminary, a private non-profit institution, offering 4-year and post-graduate degrees. Washington, DC is unique in that it is neither a state, nor is it really a city. This means that students who intend to study at one of its many fine colleges or universities are not able to take advantage of the state programs available in other localities. However, students are still able to take advantage of the many federal and national programs available, as well as District of Columbia and industry-specific sources of student financial aid. Before we begin to discuss alternatives to traditional funding, a few words about student loans. Student loans are still the most widely used means of financing a college education. The most common Federal loans are PLUS Loans, Stafford Loans, and Federal Perkins Loans. Since the establishment of the Federal Loan Consolidation Program in 1986, a student or their family can take out multiple federal loans and consolidate the debt into one loan. This means instead of having to manage and pay multiple loan payments, the graduate will have one greatly reduced, low-interest loan payment spread out over a term of anywhere from 10 to 30 years. This makes things much easier and more affordable in the short term, but adds greatly to the overall cost when the loan or loans are finally payed off. Student loans are relatively low-cost and easy to obtain, and have fixed interest rates that remain the same for the life of the loan. The payments can also be deferred under certain circumstances, which enables the graduate to become established in their new career or to continue their education without starting out under the shadow of a huge and immediate financial obligation. However, this does not mean that the obligation goes away. Student loans do have to be repaid. Scholarships and grants do not have to be repaid. They are monetary awards given to a student who meets the criteria set out by the administrators of the source of funding. An advantageous combination of grants and scholarships can reduce the reliance on student loans, either reducing the amount that you will need to borrow or eliminating the need altogether. Scholarships are financial awards given to students who meet certain eligibility requirements such as a maintaining a high grade-point average, financial need, geographic location, or field of study. They are usually available through the schools themselves including, in some cases, the elementary or high school that you attended, or through foundations and corporations. Some of these scholarships will cover the entire cost of an undergraduate degree, and many are renewable as long as the eligibility requirements continue to be met. College grants also have very stringent and specific criteria to qualify, but are generally a little easier to obtain. They are usually bestowed as a one-time award of a certain amount, although some grants are renewable over a specified period of time. There are government grants, institutional grants, and grants available from corporations and private entities. Grants do not always require financial necessity or a high grade point average to qualify. Whether you choose to apply for a scholarship, a grant, or a combination of both, be aware that the application process can be lengthy and there are very strict deadlines that must be adhered to. You may need to provide very detailed records, both financial and academic. You may also be required to write essays and provide letters of reference and recommendations to help you qualify. This is not meant to scare you, but rather to forewarn you that there may be a lot of legwork involved in finding and obtaining student financial aid. It is well worth the effort and will increase your chances for success if you begin your search early, cast a wide net, have the appropriate information at hand, and are diligent in your search. Scholarships and grants are available for almost any course of study, with a special emphasis on the most in-demand fields such as Education, Engineering, and Health Care. Below is a breakdown of the various scholarships and grants which are available for the student living in or planning to attend college in Washington, DC, and what they will need to do in order to qualify for them. This institution has several needs-based scholarships and grants available to students who enroll there full-time. The award amounts range from $200 to $22,000. Minority students enrolled full-time at Loyola can receive a Carver Scholarship. This is available on a first-come basis to 100 incoming college freshman each year. The student must complete a financial aid application, have a 3.5 GPA and have scored at least 1100 on their SATs or an achieved ACT composite score of at least 24. The scholarship can be renewed annually for up to 4 years, as long as the student maintains at least a 2.5 GPA and completes 24 credit hours yearly. A Carver Grant is also available under the same eligibility requirements to students who can demonstrate a financial need. The deadline for application is an acceptance of admission by May 1, and to have completed the student financial aid application by March 1. This is a scholarship fund administered through McDonald’s to recognize academic excellence in the Hispanic community. Each year there are 13 $1,000 scholarships and two $5,000 scholarships awarded to Hispanic high school seniors who exhibit academic excellence. The application can be obtained at any McDonald’s restaurant, and the deadline for submission is February 16 of the student’s senior year of high school. This scholarship was created by NASA in 1988 to encourage students who wished to pursue studies in math, science, physics, and technology. The scholarship is open to Washington, DC residents who want to pursue their studies at one of the Virginia Space Grant Consortium’s five affiliated schools. There is $300,000 in grant money available annually. Students who wish to study aerospace technology and are actively working a on a research project can receive up to $8,500 towards tuition. A $1,000 scholarship is available to those who wish to teach technology or science after graduation. This is a program which was initiated in 1962 to recognize student leaders who are in the top 1% of their class. Two representatives from each state and the District of Columbia are chosen each year to meet representatives of the Department of Defense, Senate, Congress, cabinet members, and a Supreme Court justice. Each delegate is also awarded a $5,000 scholarship. The Zonta Club offers an annual scholarship to women who are seeking a degree in Business, excluding Club members and their families. This is one of the few scholarships available to online students as well. The deadline for application is April 2 of each year, and the awards are given in levels. Local Zonta Club winners each receive an award of $750. These recipients then become eligible to receive an additional regional award of $500, with a final six women receiving the maximum award amount of $5,000. To qualify, the student must be in her junior or senior year of undergraduate studies in a business-related field, and have a history of outstanding academic achievement. The Zonta Club also awards an Amelia Earhart Fellowship for women who are entering doctoral programs in aerospace science and technology. This scholarship can be renewed for a second year, and the amount is $10,000. There are 35 fellowships given out annually, all funded through member contributions. The application for that award is November 15, and the winner will be informed by the following April. Applications and further information on these can be obtained at the Zonta International website: www.zontakw.com. This scholarship awards 600-650 students per year with up to $30,000. Application is open to students who would like to establish a career in a public service-related field such as public health, administration, education, international affairs, or social work. The candidate must have a strong background in community leadership such as ROTC, community boards, or a government internship. The student must also be in their junior or senior year of undergraduate studies, a US resident or Pacific Islander, or be eligible to become a resident by the time the scholarship is awarded. They must have a record of academic excellence, submit a policy proposal, establish financial need, and turn in their application by the February 7 deadline. The application and very detailed guidelines are available at truman.gov. Howard University is a member institution of Historically Black Colleges and Universities. They provide a number of scholarship and grant opportunities for students of color. Funding comes from a variety of sources, and the student must be enrolled in the University full-time. Some of the scholarships and grants are based on financial need, but many are not. Below is a sample of the scholarships that are available. This scholarship is designed for incoming college freshmen who have a history of academic achievement throughout high school, and is granted at five different levels of achievement. The lowest level award, called Legacy, is reached with SAT scores of at least 1170, ACT composites of 26-28, a GPA of 3.0 or higher, and a rank of 1st or 2nd in one’s senior class. The award amount at this level is all tuition and fees, and is renewable yearly with a 3.0 GPA. At the top, or Presidential, level, the student must have scored 1500-1600 on their SATs, had an ACT composite score of 34-36, and a GPA of at least 3.5. The scholarship amount awarded at this level is all tuition, fees, room and board, a book voucher, $950, and a laptop. This scholarship is renewable annually with the maintenance of a 3.5 GPA. This program is for students who have maintained a GPA of 3.9 or higher, intend on entering a doctoral program, and wish to teach at the college level after completing their studies. The awarded amount is up to $75,000, paid in installments of $15,000 annually over 5 years, full tuition, and an annual research allowance of $1000 dollars. The scholar must maintain the same level of achievement to continue in the Scholars program. Interested freshmen should be from diverse cultural backgrounds, athletes, or first-generation students. The award is not based on financial need. The application can be found at this link, and must be turned in by January 15 of the current academic year. A Pell Grant is the most common grant available to college freshmen. It is a federal grant of up to $5,500 available to any undergraduate student. It is based in part on financial need and in part on their Expected Family Contribution index. Federal Supplemental Educational Opportunity Grants in amounts from $100-4,000 are also available to those who are eligible for Pell Grants. This grant is administered through the Aspen Institute to promote philanthropy and social innovation. It is awarded three times a year to minority students who wish to pursue a career in a field of social justice. The recipient interns with the PSI Program at the Institute in exchange for academic credit. The internship is for a period of 12-15 weeks. The grant is based on both outstanding academic performance and financial need. 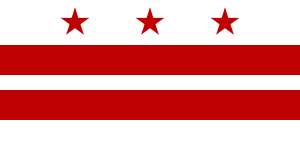 The District of Columbia offers three educational assistance grants: DCTAG, DCLEAP, and DC Adoption. All three of these programs can be applied for simultaneously using the OneApp online application. 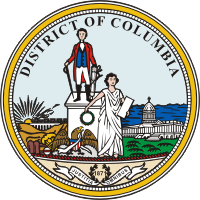 Drafted by Congress in 1999 as part of the District of Columbia College Access Act, the DC Tuition Assistance Program, or DCTAG, was created to provide college-bound Washington, D.C. residents with more choices in continuing their educations. It encompasses all public institutions, Historically Black Colleges and Universities, and private, non-profit colleges and universities in Washington DC and the metropolitan area, the United States, Guam, and Puerto Rico. The award amount is up to $10,000 to offset the difference between in-state and out-of-state tuition, or up to $2,500 per year towards tuition at any private college in Washington DC, or Historically Black Colleges and Universities or 2-year institutions elsewhere in the United States. Must be a resident of the District of Columbia for at least 12 months prior to enrolling in college, and maintain residence until after graduation. Must have no previous student loan defaults. Must be enrolled or working towards a first undergraduate degree at least part-time. Cannot have previously received a Bachelor’s, a professional, or graduate-level degree. Must achieve and maintain Satisfactory Academic Progress, or SAP, as required by the college or university enrollment agreement. Must be 24 years of age or younger. Must have an annual taxable income that does not exceed $1 million. DCLEAP, the DC Leveraging Educational Assistance Partnership Program Grant, is a grant of up to $1,500 per year for students who exhibit extreme financial need. The basic requirements are the same as for DCTAG, except residency must be for at least 18 months prior to enrollment, and a new grant application must be filed every year. DC Adoption comes from a $1 million fund that was created in 2001 through the Adoption Voucher Act, and is designed to help those students who were adopted through the Washington DC Child and Family Services Department after October 1, 2001. Later, this was amended to include children who lost at least one parent during the 9/11 attacks, and who resided in Washington DC at that time and/or in the Washington DC foster care system after October 1, 2001. The rest of the requirements are the same as for DCTAG and DCLEAP. All three programs can be applied for using the DCOneApp form, available here. This is a monetary award of up to $2,000 to help with additional expenses that are not covered by other student financial aid. It is need-based, and can be renewed annually for up to five years. The application is available at the DC-CAP website. This is a program which was created in 2006 to encourage students to obtain degrees in the area of health care. In exchange for payments to pay the cost of student loans, the recipient agrees to work in an understaffed DC-area health care facility. Aside from the sources of student aid listed above, there is a surprising amount of help available from other places that the average student may not be aware of or think to look. Large corporations and foundations are not the only sources of scholarships and grant money. Small businesses and community organizations often provide financial assistance to residents and employees, members, or the children of the same. These awards, though sometimes small, can help to defray some of the expenses of continuing education, such as purchasing textbooks and supplies. These cash awards are usually based on availability and donations, and can be in amounts of anywhere from $100 up to several thousand dollars. This is an often overlooked resource which is worth investigating. A higher education is not an impossible dream. Armed with the right information and a variety of options, an incoming college freshman can find the means to finance that dream without putting themselves or their families into debt. The best way to do this is to locate and apply for as many of the available sources of funding for which you can qualify. The right combination of grants and scholarships can minimize or eliminate reliance on student loans and cash out of pocket. They can also help cover not only your tuition, but books, fees, and other expenses that add to the cost of your education. The Federal Government, the District of Columbia, and a variety of schools, businesses, and philanthropic organizations realize the importance of having an educated and motivated workforce. Every year there are more funds available and new sources of funding are established in order to help students realize the dream of receiving a quality college education. The rest is up to you. Good luck on taking that first big step forward to a better future. Hi I’m a mother of a 21 year old and he would like to go to college but we don’t enough income to pay for it. We know there is help for people like us but not sure where to go or start from. Please let me know if you can help us. I wanted to know why the program restricts funds for DC students that want to attend private HBCUs to merely $2,500 when the public schools in/out state receive up to $10,000 the coverage is still needed by the students. The funds are definitely needed in both areas certainly for the students who’s single parents who fall into the need-based but not enough to qualify for pell grants – please open $10,000 funding all students needing it.